Gentle, yet powerful, review. Thanks, Dwight. Three books that I have found helpful is A Grace Disguised by Jerry Sittser, Finding God by Larry Crabb, and As We Forgive by Catherine Claire Larson. Thank you, Asher. Yes, Jerry Sittser is good–I haven’t read that one of his books, but have heard it plugged before. And Finding God was helpful for me way back in the day. 🙂 The third one is new to me. As We Forgive is actually more of a documentary of the reintegration of the Hutu’s into Rawanda after the genocide. It wrestles deeply with the process of forgiveness and reconciliation after being brutally violated and abused. I think we from the West have a lot to learn about forgiveness from those in Rawanda. Our grief (and healing) tends to be so “me” centered. That sounds powerful, Asher. I haven’t seen it, but I’ve heard other reports of the sort of forgiveness and reconciliation that happened there. Our justice/retribution preoccupied western approach to crime has definite weaknesses, both pragmatically and definitely in light of Jesus. I have to admit that in my deepest distress, nothing comforts me quite like the Bible. I’ll often turn to the Psalms or some favorite passages in Isaiah, though I find my soul restored through other Scriptures, too! God speaking through Romans healed some very painful places for me. But. You were asking about other books. 🙂 I like Ravi Zacharias’s Cries of the Heart, many of CS Lewis’s books, Elisabeth Elliot’s These Strange Ashes, and I’m sure there are many more I’m not thinking of right now! Rosina, I am nothing but thrilled that you first turn to the Bible! That is indeed how it should be. Job, Lamentations, Romans 8, many Psalms—riches so often overlooked on the way to something “more” ____. Thanks for mentioning the other books, too. I’ve read a lot of Lewis, a little of Zacharias (not that one), and yes, after I posted my blog I thought of Elliot, too–a refreshingly candid but unwaveringly faith-full voice that was helpful especially during my single years. Thank you! Thanks for your thoughtful, yet respectful review. And for giving us quality replacements. I love to reread favorite books (from Elisabeth Elliot to the Psalms) and be reminded of times when those passages spoke deeply to a need in my life. Some of the most encouraging books I’ve read have been those who tell the stories of believers. 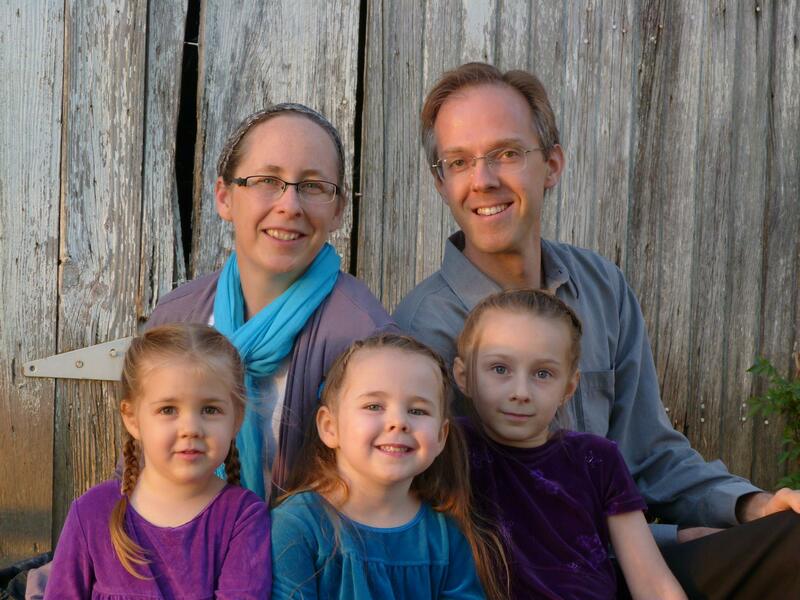 Books like The Hiding Place, If I Perish, and biographies of people like Adoniram Judson and Amy Carmichael have been soul-sustaining on hard days. Thanks, Gina. I know my wife has read some Amy Charmichael, and Christian biographies are one of the most upbuilding literary forms, in my opinion. I appreciate your suggestions. When God Doesn’t Answer Your Prayer by Jerry Sittser …I have a whole list of favourites , some already mentioned by others, but this is one I keep coming back to again and again . Thank you, Sharon! You are the second person to recommend a book by Sittser. Wow, this was a great read. 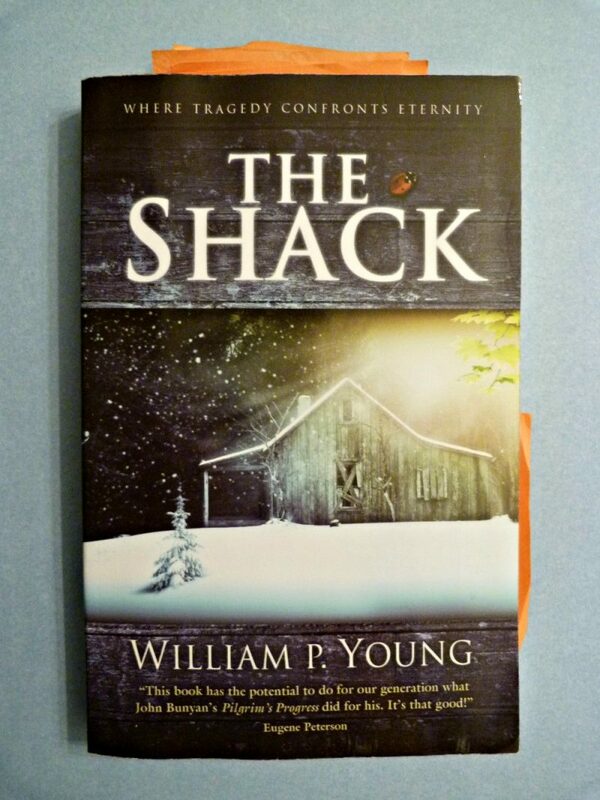 I read The Shack and found it refreshing, though I read it knowing that it was a work of fiction. Was not aware of the other book by him but I really appreciate your thoughts on it. I like any Max Lucado book. “When the Angels were Silent” is a favourite. Thanks, Ruby, for your kind words and for the book recommendation! thank you for your response to this book! I appreciate the tone of humility. Righting wrongs with arrogance never fixes a problem and I had begun to tune out some of these discussions because I was sensing (perhaps mistakenly) that attitude. The book ‘Safely Home’ by Randy Alcorn, was pivotal in my desperate struggle to answer the questions my heartache left me with. It brings the reader to a crisis point that one cannot easily avoid. Somehow, that was so helpful in grappling with my burdens. I’ve heard multiple people (my wife included!) praise Safely Home. Thanks for mentioning it here! I deeply appreciate the gentleness and humility you wrote this with. The Shack brought me to deep conviction when I read about the chair of judging God, and so I’m sensitive to someone bashing the book completely. Suggestions? Yancey’s Disappointment with God is one I’ve read umpteen times. He writes with sensitivity and honesty that is life-giving because he doesn’t skirt around hard questions. Thank you for your kind words, Anita! Yes, I certainly don’t want to deny or trample on any good that someone may have experienced through an imperfect book. I’ve benefited from plenty of imperfect authors myself. Thanks for the Yancey suggestion. We have that one on our shelf, I think (thanks to Zonya? ), but I don’t think I’ve read it. Thanks again to all for your recommendations! You all make me want to hole up with some good heart-strengthening books! I appreciate the gentle tone and humble approach of this article. I think one of the reasons The Shack appeals to so many, lies within the fact that it is a work of fiction. Many of the nonfiction books that are being recommended in the comments, are excellent books, both in dealing with pain and seeing God’s heart in our pain. However, many people that will not read a nonfiction book will read a fiction one for a light, entertaining read. There are not very many works of fiction that are both entertaining and yet teach a powerful message without sounding preachy–especially one that addresses the things Young does. I don’t agree with all that Young is attempting to convey, but I think that Christian fiction writers could learn from his method. I see someone recommended Safely Home by Randy Alcorn. Alcorn is an author that has mastered this well. Thanks, Simon. I affirm your comments. Readers are divided on whether Young is a skilled writer. (Someone with editorial experience sent me a rather humorous private message strongly declaring he is *not,* though I will quickly acknowledge Young writes better novels than I do.) But it is certainly true that some people read fiction who rarely pick up nonfiction. And I’ve heard good about Alcorn’s fiction, and know from his nonfiction that he is a wise voice. Blessings! This is a post by Wayne Jacobsen about a comment on Facebook. I happen to know Wayne personally and I know for a fact he doesn’t agree on everything that Paul Young writes but he does his best to redeem the good in it. I feel strongly that God can use this book and movie for His glory. I don’t feel any need to fight for or against it. Just saying. Carry on. I was reading a friends post this morning about taking his wife to THE SHACK last night and how touched they were. As I read some of the comments below, most agreed except for a few. One “friend” wrote, “HERETICAL BLASPHEMOUS GARBAGE.” Really? Even if you feel that way about the book/movie, that’s the first thing you want to say to a friend that was deeply touched by something. Because now their so-called friend is either an idiot or a spiritual fool to be touched by it. Facebook really twists what it means to be a friend. If a friend of mine is touched by a book or movie that I don’t like my response would be,”That’s great. What touched you about it?” And I would get to have a conversation and find that what touched them is something that would also touch me. To see something as ALL beauty or ALL garbage is a dishonest way to view the world and makes you a bit of a relational creep. There is some good in most things even if we have problems with the whole of it. I wouldn’t even think to tell my friends through social media that something that touched them is garbage. I don’t see people do that about much else other than the anti-SHACK people. What is it about their feelings of this book that draws them into such dark and disturbing space? There are lots of books and movies I don’t like, but I don’t spend my time writing forty-page papers against them, or lambasting my friends who like them. Can’t you let God work in others without raining on their parade? Does it make your life more enriched to know that you derided something that held significance for a friend? And you don’t even think that’s creepy! Thank you Dwight, yes I agree with you on that it’s on more than just “The Shack” that people show themselves as all one or the other way. I would like to generalize Wayne’s comment to a broader scope of books/movies. I didn’t follow the instructions on naming a book and let’s say that different books impact people in different ways depending on their journey. These are 3 books that I couldn’t lay down. Thank you. Bought the book ” The gospel according to Job ” based on your recommendation. Can’t wait to read it. Thanks for the great article! Great! I hope you find it a blessing!